Achievas and SolidStar inked a deal with NFF for the Theme song to usher the Super Eagles into the world cup 2014 in Brazil and we dropped the DOWNLOAD AUDIO of the singles some weeks ago .This video features cameo from the Nigerian Supporters Club, Iyanya, Yung6ix, Emma Nyra, Selebobo, Tekno, Charass, NonnyD, and Waconzy. Barcelona have been formally accused of a €9.1m (£7.5m) tax fraud in connection with their dealings in the signing of Neymar from Santos. A Spanish judge has ruled there is sufficient evidence against the La Liga giants to continue investigations into the Brazilian’s signing in June 2013. It has been revealed Neymar’s parent received £34m of the £48.6m paid for the wonderkid’s services. Barca Indicted in Neymar Transfer Saga. Although, there has been no formal charge and Barceloina have exonerated themselves of any wrongdoing, “In light of the information available”. The Catalans’ former President Sandro Rosell resigned just last month, following accusations he misappropriated club’s fund. He is presently under investigation but claims innocence. but it is alleged that, if other contracts are considered, the club have paid a far greater price. However, Pele feels even though the Barcelona player is already a crucial part of the set-up, he should not be given too much responsibilities while playing for the national team. “Neymar is an extraordinary player and he is of fundamental importance to the team,” the 72-year-old told Estado de Sao Paulo. “Jo is in a good run of form just now but his position as Brazil’s main striker isn’t confirmed,” Pele added. Wenger Defends His Transfer Policy And Says “We are now in a Stronger Position financially. Grass to Grace: Arsene Wenger Sees a Change in the Financial Fortunes of Arsenal. The north London club, according to a publication by Forbes magazine in July, sits on tenth position in the list of the World’s Most Valuable Sport Teams, valued at $1.326 billion. The Gunners had matchday revenue of $149 million during the 2011/12 season, the third-highest in soccer due to capacity crowds at the 60,400-seat Emirates Stadium. The most expensive match day ticket in the Premier League is the £126 charged at the Emirate Stadium. And were it not more-or-less for the transfer deadline day signing of German midfielder, Mesut Ozil, Arsenal would have failed woefully in the transfer market. Many of the club’s faithful wouldn’t argue the manager’s stance on the arrival of the 24-year-old German, but could as well be indifferent to the managers opinion on his own transfer policy- which has gone from being tight-fisted and over reliant on young talent development, to making “world class” signing- by the magic of just one player. “I fight for the teams to spend the money they have made and not artificially earned,” said Wenger. “Once we have made that money I am happy to spend it. It is also important for us to find world-class players. “We had to go through some years where we had restricted financial potential. We are now in a stronger position financially. The manager also shares the opinion that his seemingly success in the summer transfer window is partly owed to the club-record (£86m) signing of last season’s PFA’s Player and Young Player of the Year, Gareth Bale, by Spanish giants Real Madrid. All good things must surely come to an end they say and Wenger’s tenure as ‘The Gunners’ boss will be due by the end of the season, but he’s not even thought about his future. “We are not in a hurry. My contract finishes in June, it is September now,” Wenger, who took over the reins of the club in 1996, added. Arsenal hosts Paolo Di Canio’s Sunderland by the weekend and Ozil is in line to earn his debut as Jack Wilshere and Theo Walcott are both in contention. The only injury concern thus far is Tomas Rosicky. Andriy Shevchenko has returned to pro sports. But not in football — and not to the standard of success he has been used to. The former European player of the year is competing in his first professional golf tournament as part of the Kharkov Superior Cup in his native Ukraine, but struggled to a 12-over-par 84 in Thursday’s opening round. “It’s a completely different game when you are under pressure, but I really enjoyed it still and so happy to be at this tournament, even if my scoring didn’t go so good. It’s a great experience for me,” Shevchenko told the European Tour website. His playing partner, Frenchman Victor Riu, was the first-round leader in the second-tier Challenge Tour event after a sharply contrasting course-record 64. 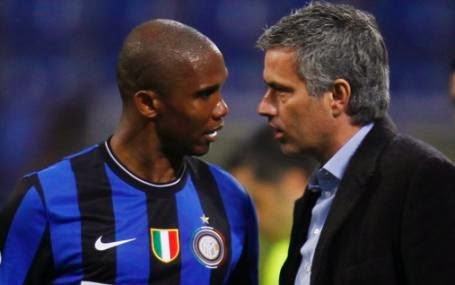 “I am not a big fan of football so I didn’t really know much about Andriy but it was great to play with him. There were a lot of people watching,” the 28-year-old said. “He was great. Every time I holed a putt he shook my hand or gave me a high five. He was really pushing me on to play better and cheering me when I made birdies so that was a really big help for me. “I did put it up on Facebook that I was playing with him and it got a lot of responses, so I knew it was a big deal! Shevchenko, who enjoyed most of his success with Italian club AC Milan, retired from football a year ago after Ukraine co-hosted the European Championships and has since dabbled in politics. He entered this tournament as one of several amateurs in the 130-strong field, having initially taken up golf to help ease the pressure of playing elite football. “I come on to a golf course and turn off my phone and just walk the course and hit some balls. It’s one of the reasons why I started to play,” he said Wednesday. Shevchenko did manage one birdie, but he carded a double bogey and dropped shots at 11 other holes at the Superior Golf and Spa Resort course, which is part of a luxury seven-star facility. “To play with Victor and see him shoot a course record and play fantastic golf, I learned so much about the game from the two guys,” he said. Shevchenko isn’t the only athlete to try his hand at pro golf following a successful career in another sport. Former tennis No. 1 Yevgeny Kafelnikov became Russia’s national champion in 2011 — he is also in the field this weekend in Ukraine — and eight-time grand slam tennis winner Ivan Lendl contested the Czech Open back in 1996. 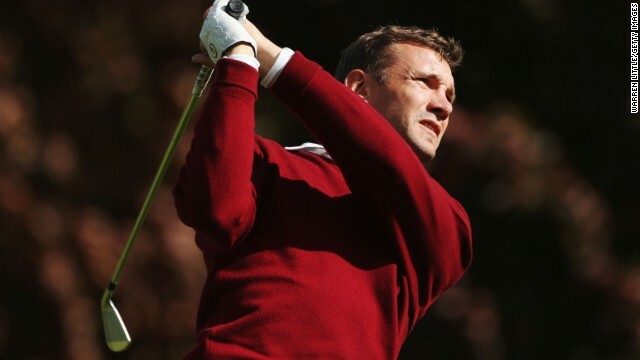 Although similarly unlikely to make the halfway cut, and therefore miss out on the weekend action, Shevchenko is nonetheless proud to be participating in his country’s first major golf tournament. Bale, who surpassed the Portugal international as the world’s most-expensive player following his €100 million move from Tottenham, is poised to make his debut for his new club against Villarreal on Saturday evening. Bale began training session by undergoing individual physical work with a coach before joining his new team-mates in their full warm-up. The Wales international then took part in light ball work with Iker Casillas, Luka Modric. Karim Benzema, Daniel Carvajal, Alvaro Morata, Nacho and Jese. Ronaldo, along with summer signing Isco, trained apart from Bale, while Raphael Varane was alone with a fitness coach as he makes his comeback from a knee injury. Bale came on as a second-half substitute in Wales’ World Cup qualifier against Serbia on Tuesday evening, and following his side’s 3-0 defeat, manager Chris Coleman believes the winger may be subjected to a restricted amount of playing time in his early stages at Madrid. “If he starts Saturday, he will not finish the game. I would be amazed if he does,” Coleman told reporters. “We have looked at him in these 10 days and he is nowhere near ready for 90 minutes even if Spanish football is slower. “He may start, but he won’t finish the game. He may get 45 minutes, I don’t know, but he will feel better in himself after 30 minutes here. Go Serena! World No.1 Serena Williams on Sunday September 8th claimed her fifth US Open crown and 17th career grand slam singles title after beating world No. 2Victoria Azarenka with a 7-5 6-7(6) 6-1. This victory makes Serena the oldest US Open women’s winner. Following her win, a photo of the professional tennis player has since been trending – it’s like she was doing the “kukere/etighi dance”, lol. Spain’s Rafael Nadal collapses to the ground after winning his second U.S. Open title, September 9, 2013. (CNN) — Rafael Nadal confirmed his status Monday night as the dominant force in men’s tennis with a four-set win over world No. 1 Novak Djokovic in the U.S. Open final. Nadal won 6-2, 3-6, 6-4, 6-1. For Nadal, it was his second U.S. Open title and, as importantly, marked a triumphant return to the peak of his powers after a long battle to overcome a knee injury. The Spaniard also avenged his defeat to Djokovic in the 2011 Flushing Meadows final to clinch his 13th grand slam title. That puts him one grand slam behind American Pete Sampras and four behind Roger Federer of Switzerland. In the 37th meeting between the two players, the sixth in a grand slam final, world No. 2 Nadal extended his hard-court winning streak to 22 matches. Serbia’s Djokovic has now tasted defeat in two consecutive U.S. Open finals after his five-set loss to Andy Murray in 2012.